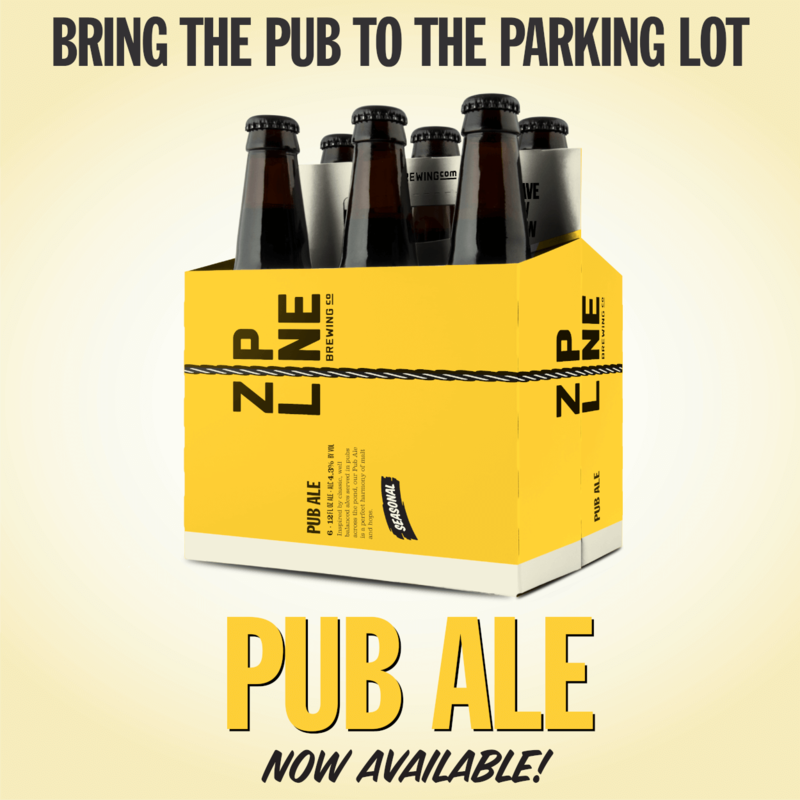 Bring the Pub to the Parking Lot - Zipline Brewing Co.
After multiple attempts, we nailed what we believe to be an outstanding example of the style. Fresh, biscuity, and floral with a very approachable aroma and flavor, our classic Pub Ale rapidly became one of the best selling beers in our taprooms in Lincoln and Omaha. Now, for the first time, we’re putting Pub Ale in bottles. Look for it throughout our entire distribution territory. Just in time for football season, you can now bring the pub to the parking lot!